Finsolve Accounting & Tax Solutions, in association with Bizfacility, provides financial & tax and training services to clients in the SME (small and medium sized enterprises) environment, with its main location in the Northern suburbs Cape Town and central Johannesburg. The business practice is focused on providing superior value for money, and promotes quick but professional solutions and services to the client. Our stance is one of under promising and over delivering, with our key differentiator being that of empowerment, by assisting entrepreneurs in understanding their financial and tax affairs better through our training division, Bizfacility. The practice provides services to clients nationally, with emphases on Johannesburg and Cape Town areas. 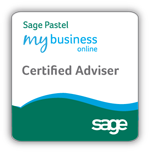 All accountants and bookkeepers are certified practitioners who operate in association with the practice. We utilise all major accounting software packages including Pastel and QuickBooks. We specialise in the fields of business valuation, tax compliance & planning, and financial reporting and analysis. Through an extensive networking structure, we are able to connect the client with additional support services as required, including property valuations, legal and IT service providers, and the provision of professional trust and estate management services, with a reputable trust specialist company. Preparation of annual financial statements for Close Corporations, Pty Ltd Companies, Trusts, Partnerships and Sole Traders. Company registration, tax registration and statutory CIPC annual returns etc. Periodic reporting and financial analysis of the clients business highlighting strengths and weakness, plus providing 12 month projections based on agreed drivers. Calculate and determine value on your business or that of a prospective business up for sale. Valuations can be used in divorce cases, trust valuation, purchase / sell contracts and many more situations. Valuations are conducted using the framework of the ASA (American Society of Appraisers). Write up of business plans that include financial projections. This is just a quick note to say “Thank you”. Dear Gavin. Thank you for a smooth audit and care for my books. Much appreciated.